Article 50 is a sequence of negotiations and the first part of them will be to decide what will be negotiated. It is not a question of Britain presenting a series of demands and the EU presenting its list of counter-proposals. For a start there are three Europes at the table – the European Commission, the European Council representing the 27 national governments and the European Parliament. Each will take different position as the talks unfold and the British government moulds its demands to shifting economic news, and possible changes in public opinion, as the full impact of Brexit sinks in. Last week’s BMG opinion poll showed that 45 per cent now back remaining in the EU, compared to 43 per cent for leave, with 12 per cent who don’t know. This would reverse the June 23 plebiscite result. Few seem to have grasped that trade with Europe will not be part of the article 50 negotiations. The EU trade commissioner and every head of government has said “First the UK quits the EU. Then we talk trade.” And those talks can last years. It is not clear the thorny issue of EU citizens visiting, working or residing in Britain, and vice versa for Brits in Europe, can be settled. That depends on any decision that London takes to begin imposing visas or quotas on European citizens. Such discrimination against voters in 27 friendly countries will be seen as a hostile act which would penalise. The British government would be well advised to keep this issue parked as one for intense study and leave any legislative proposals until the conclusion of article 50 negotiations and the time when a withdrawal treaty is produced. So the idea that Theresa May or David Davis can come to the Commons and spell out each and every aspect of what they want from Brexit, in by-law detail, is not realistic. Article 50 is not a manifesto, still less a Queen’s Speech. It is dialectic in its purest form. Jeremy Corbyn was right to insist on the importance of access to the single market to defend jobs and vital foreign investment – although shadow Cabinet colleagues subsequently shifted Labour’s stance. Labour should be the voice of British economic actors, universities and colleges, local councils, and those who want to travel, or live and work in Europe. The nation is divided 50/50 and Labour has no obligation to be the helpmates of the hardline Tory-UKIP isolationists. Focusing on the single market makes strategic and tactical sense. 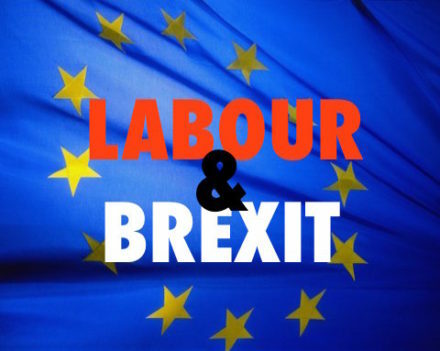 The best thing Labour can do now is to undertake a Brexit audit in every constituency so that at real life local level voters can see the lethal danger posed by the hardline EU withdrawal favoured by Liam Fox and Nigel Farage. Parliamentary grandstanding is great fun for some MPs but it puts off most voters who want leadership, not Commons gamesmanship. Moreover it is facile to say MPs and unelected peers can stop Brexit now. If May puts a simple resolution to the House of Commons approving the government’s decision to begin article 50 negotiations then it is hard to see it not finding a majority. Most Tory MPs who backed Remain will not want to defy the plebiscite, even if they don’t like it. Some will uphold the Edmund Burke doctrine of owing voters their judgement rather than their obedience. In 12 or 24 months’ time public opinion and politics may be in a very different place. The paradox of the High Court ruling is that if May gets her Commons vote then she will be in a stronger position as she would have backing. The current hue and cry in Parliament would be silenced. So everyone should play this long-term. It is what kind of Brexit that now should concern us. Article 50 is just a beginning. The endgame is far, far away. Denis MacShane is a former Europe minister, and author of Brexit: How Britain Left Europe, published by IB Tauris.